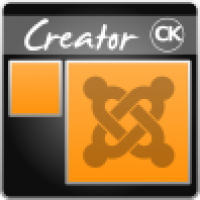 Template Creator is delivered with multiple themes that allows you to apply a specific style to your template just with one click. Choose the theme you want and modify all you want to create your template.You can create some themes and templates that are full responsive and fluid. The width will adapt to the screen width and you can choose how you want the modules to take place in the different resolutions (aligned, under each other, hidden).You decide how your website will be shown. You can set a width for the content or set it to be the whole page width. You can choose how you want your page to display.Look at the demo to see what you can do with Template Creator CK and few other extensions available on Joomlack.fr. Add a Parallax effect, make a Onepage scrolling website, put a fullwidth slideshow, and add a megamenu to your page. You can do what you want, add any feature to your template to make your website really cool.